These teachers aren’t even giving their students the opportunity to take on a challenging task! Of course, while a third-grade teacher might claim that an idea is “too hard,” a kindergarten teacher will send me photos of students engaged in a wonderfully adapted version of the task. Students will rise (or sink) to teachers’ expectations. They call it the Pygmalion effect: high expectations lead to high performance and low expectations result in low performance. In a famous experiment from the 1960s, researchers told teachers that certain students were expected to have an “academic spurt” in the upcoming year. In reality, these students were chosen at random. Yet, by the end of the year, those randomly chosen students consistently displayed greater gains than their classmates. They rose to their teachers’ expectations. [Teachers] indicated that these “special” students were better behaved, were more intellectually curious, had greater chances for future success, and were friendlier than their nonspecial counterparts. Rosenthal and Jacobson concluded that a self-fulfilling prophecy was at work. 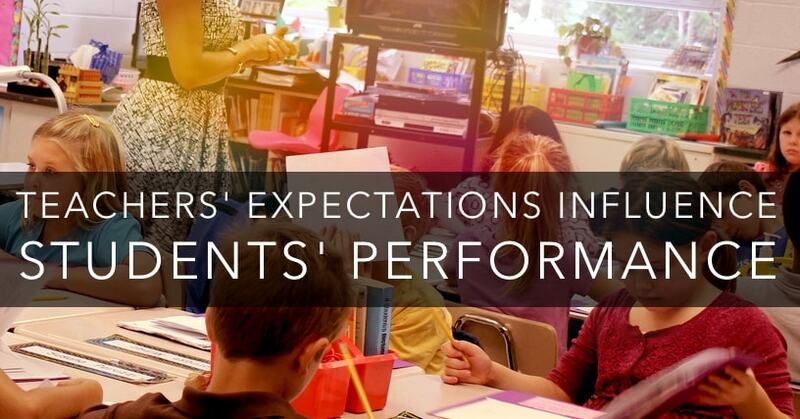 A teacher’s expectation of what students are capable of has a dramatic impact on what those kids will do. Don’t set a ceiling for your students.